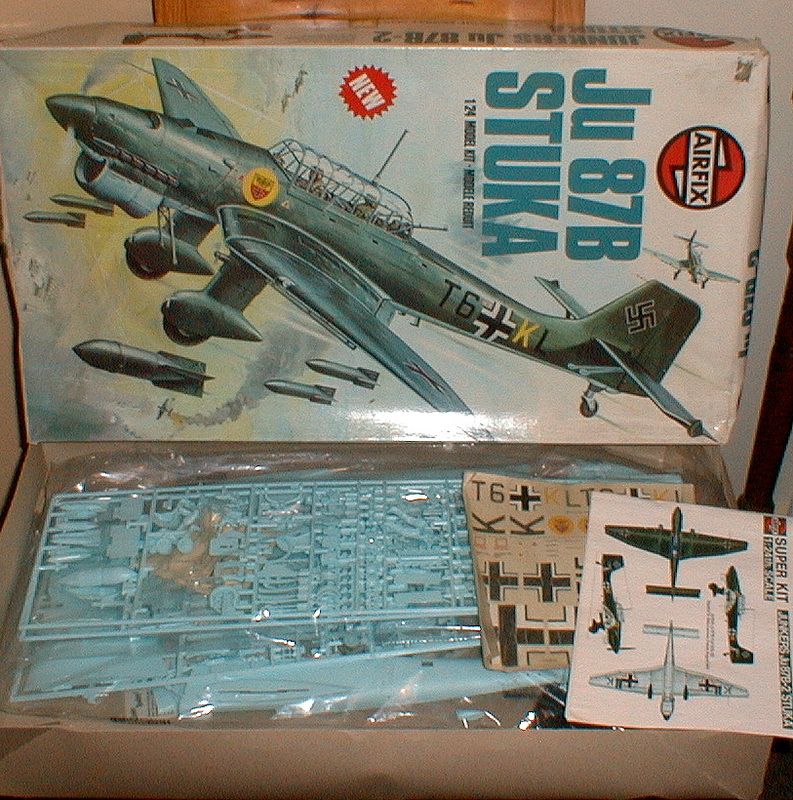 One of the most effective dive-bombers of the Second World War, the Ju 87 Stuka played a major role in Germany's conquest of Europe and contributed significantly to the campaigns in North Africa and Russia. Hailed as the supreme weapon by Hitler's propaganda ministry, the Stuka proved to be an effective dive-bomber against pin-point targets and its shattering scream became synonymous with the type during the Blitz of 1939-40. The sinister cranked-wing appearance of the aircraft is realistically portrayed in this giant-scale 'Superkit'. Full detail is provided throughout, from the two crew positions to the miniature Junkers Jumo engine with its detachable panels. Sliding cockpit panels, a unique working ball-mount for the rear machine-gun, a hinging bomb cradle and movable control surfaces are all features of this remarkable kit. Two sets of authentic decals are provided, one for an aircraft flown during the Battle of Britain and the other for a tropicalised Ju 87B operated in North Africa. The propeller can be motorised if desired.